Come and join us as we investigate at this unique location. You will be given hands-on advice on how to use equipment, free time to investigate on your own, as well as structured vigils run by our team of experienced ghost hunters. One hot July night a young city couple, having driven out and parked on the shore of White Rock Lake, switched on the headlights of the car and saw a white figure approaching. As the figure came straight to the driver’s window, they saw it was a young girl dressed in a sheer white dress that was dripping wet. She spoke in a somewhat faltering voice. I’m sorry to intrude, and I would not under any other circumstances, but I must find a way home immediately. I was in a boat that overturned. The others are safe. But I must get home. She climbed into the rumble seat, saying that she did not wish to get the young lady wet, and gave them an address in Oak Cliff, on the opposite side of Dallas. The young couple felt an uneasiness concerning their strange passenger, and as they neared the destination the girl, to avoid hunting the address, turned to the rumble seat to ask directions. The rumble seat was empty, but still wet. Many people have claimed to see her and many have given her the fateful ride. 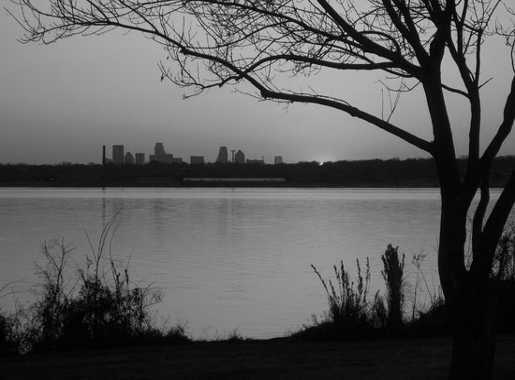 White Rock Lake has also been the site of numerous murders and dozens of body dumps.